Editor’s Note: Clayton Frech is the CEO and founder of Los Angeles’ Angel City Sports. His son, Ezra, was born with no left knee or fibula and only one finger on his left hand. At the age of two, his non-functioning leg was amputated, and its big toe was surgically transplanted to his hand giving him the indispensable ability to oppose. From a very young age, Ezra’s parents knew he was destined to be an athlete. 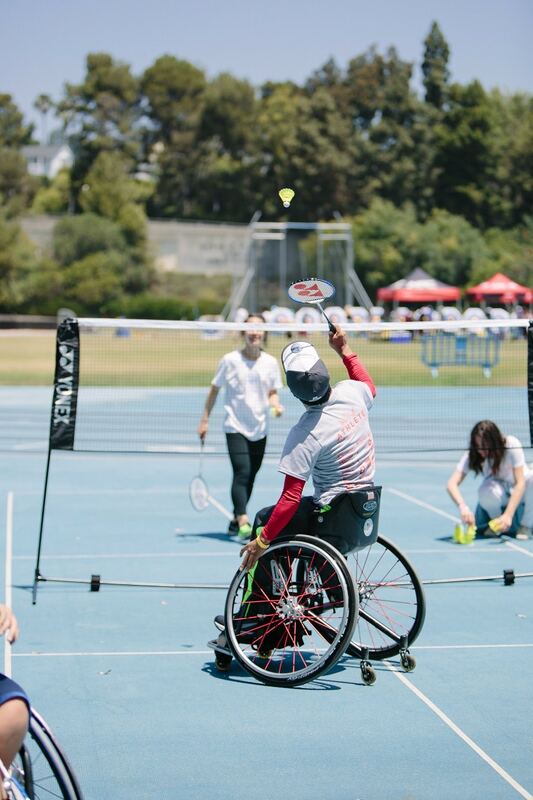 As he grew older and more interested in sports, his father noticed the lack of opportunities for disabled athletes in Southern California, thus inspiring the creation of Angel City Sports. Wheel:Life chatted with Frech about how it all started and their signature event, the upcoming Angel City Games. Ezra, who is now 12 years old, has always loved sports. His first word was “ball.” He practices and works out in the backyard and is just obsessed with sports. Because he is ambulatory and really talented, he has played with and against able-bodied athletes his whole career. 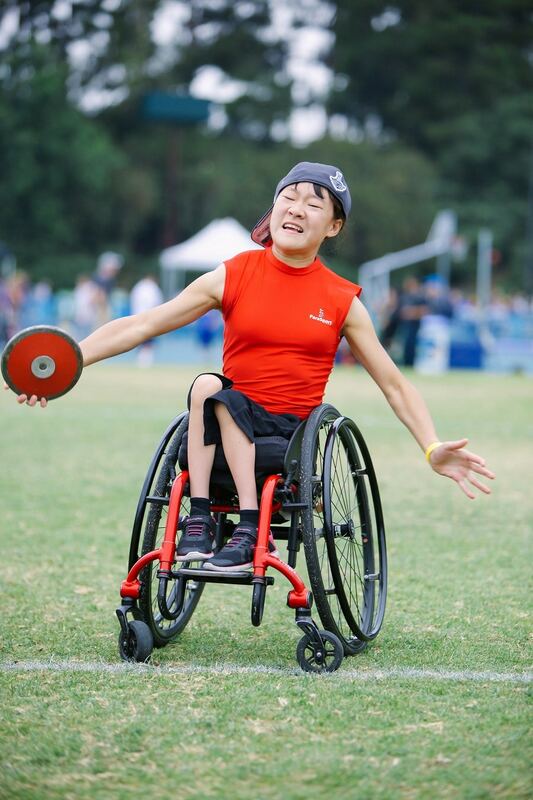 The impetus for Angel City Sports started four years ago when I wanted to expose him to the Paralympic community so he knew what else was out there. That year, I took him to the Endeavor Games in Oklahoma where athletes can compete, partake in clinics, and meet other participants. Ezra set a couple national records, and we just had a blast! On the last day of the competition, we were on the track in the 100-degree heat, and I asked the question, “Why do we have to come to Tornado Alley to run, jump, and throw stuff?” A couple officials were standing next to me, and they said, “No one has stepped up to do this in Southern California.” The lightning bolt just hit me. If a kid or adult who wants to get into sports doesn’t have the resources to travel across the country, there are no opportunities for them. It led me down the path to creating Angel City Sports. Ezra set a couple national records, and we just had a blast! On the last day of the competition, we were on the track in the 100-degree heat, and I asked the question, “Why do we have to come to Tornado Alley to run, jump, and throw stuff?” A couple officials were standing next to me, and they said, “No one has stepped up to do this in Southern California.” The lightning bolt just hit me. If a kid or adult who wants to get into sports doesn’t have the resources to travel across the country, there are no opportunities for them. It led me down the path to creating Angel City Sports. 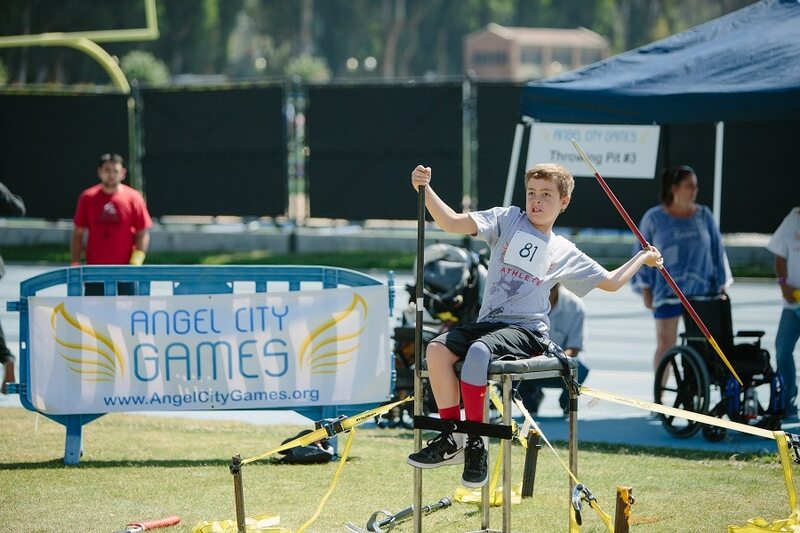 Our third annual Angel City Games are coming up on June 22-25. It took us two years to get the first event off the ground in 2015. We had 150 athletes. We’d never done anything like it before, so we imported some experts that knew how to run things, and we figured it out. We all collapsed afterwards from fatigue, but we dusted ourselves off and came back a little harder in 2016 adding clinics throughout the year. We wanted to create a place for potential athletes to get introduced to a sport. The 2016 games grew to over 200 athletes, and we were able to add more sports. This year, we’re doubling down again. We’re now doing year-round programming with something happening at least once a month. We’re moving programming to different parts of Southern California and trying to rally various neighborhoods and communities. We’re building an inventory of adaptive sports equipment that we can loan to anybody wanting to try a sport. 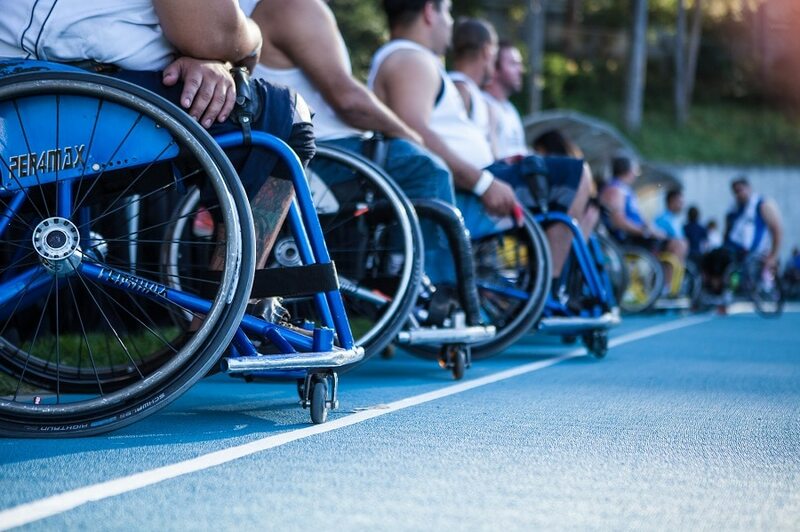 For wheelchair users, this is even more critical because every sport uses a different chair. It’s so cost prohibitive and makes no sense for people to buy their own equipment unless they know they’re going to be in these sports forever, but that’s usually not the case. We are also trying to spark competition whenever we can plug it into the existing framework. For example, the city of L.A. hosts a golf tournament every year, and we helped convince them to add an adaptive division. We want to initiate competition without having to host and run everything. If something doesn’t exist, we’ll step in and do it, but we also want to plant seeds and allow it to grow in other areas. 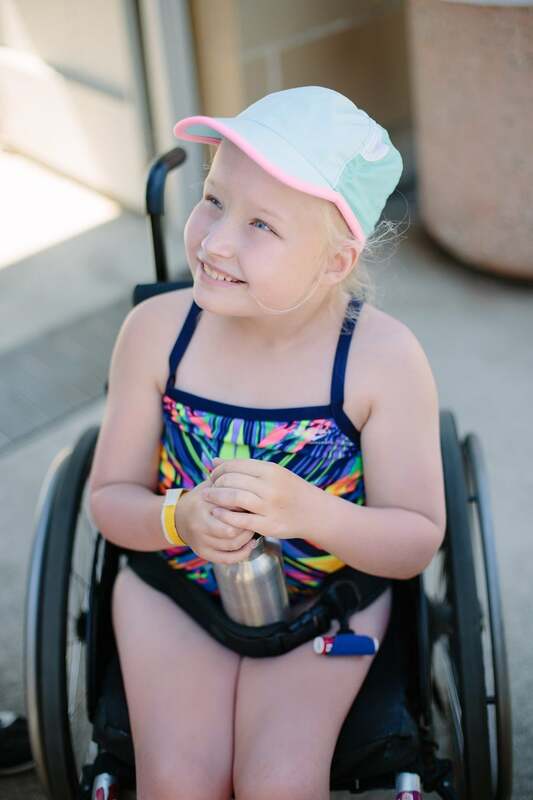 Even within the wheelchair community, there’s such a wide range — different levels of spinal cord injury, amputees, those that use a chair, but don’t need one all the time, etc. Unfortunately, there’s no place where this community organizes or aggregates. Identifying potential athletes and then drawing them out is incredibly challenging. Once you find them, you then have to convince them that they could become an athlete. It doesn’t mean they go to the Paralympics, but it will at least help them live a healthy life and be active. I find there are a lot of psychological and emotional barriers to getting the disabled community active and involved in sports. Are these ideas ingrained by parents? Is it society saying they can’t do things? I don’t know what it is, but there are a lot of those invisible obstacles to overcome in order to get people active. 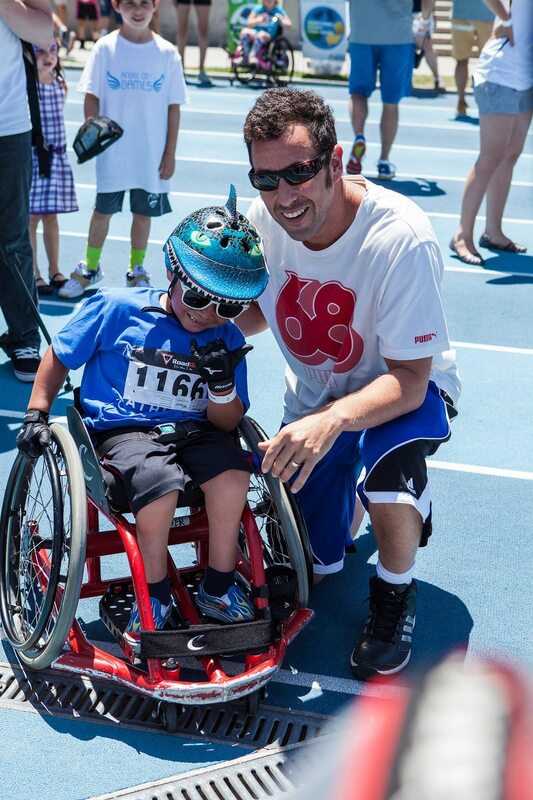 My son, Ezra, is an incredible advocate also because he understands what sports mean to him. In a weird way, it’s his escape from being disabled; it’s the place where he feels normal. That’s a really interesting concept to someone who has to deal with being different every day — having a moment where they are normal, and they are the majority. He literally forgets he has a disability when he plays sports. He forgets all his struggles. The first two years, Angel City Sports was funded mostly by corporate sponsors from the Angel City Games. The concept is that the Games should be able to raise enough money to support programming throughout the rest of the year. The majority of our funding comes from large individual donors and corporate sponsors. There aren’t many grant programs for organizations like us out there, and unfortunately, the U.S. government hasn’t stepped in at all. My feeling is that we’re in the shadow of Special Olympics, because people don’t understand that adaptive sports are completely different. They think that the physically disabled can participate in Special Olympics. What a blessing that their brand is so strong and awareness is so high, but I think the funding community and broader society need to understand the difference, so we can cover this gap in programming. Special Olympics have been around for 50 years, and they have built an amazing organization, but what about the physically disabled community? Angel City Sports is trying to bring the rest of the general public in to see that these are just athletes that happen to have some part of their body that doesn’t function the same way as ours. Editor’s Note: Donations can be made at angelcitysports.org/donate. To learn more about partner opportunities, visit angelcitysports.org/partners. I think all of the benefits of sports in general — health, recreation, fitness — apply to our community. Bringing everyone together through sports has powerful social value for everyone. We get a lot of people that come to watch, but they’re really there because they want to be part of the community. They want to be connected but are generally too intimidated to actually try it out. We feel like we can aggregate and build community through sports. We recognize that not everybody is going to go to the Paralympics. It’s not about that. If some of them make it, great, and we’ll support their journey, but our goal is to improve the lives of our athletes. We get such great love and feedback from our athletes, and they’re so appreciative of what we’re doing. It’s really gratifying. 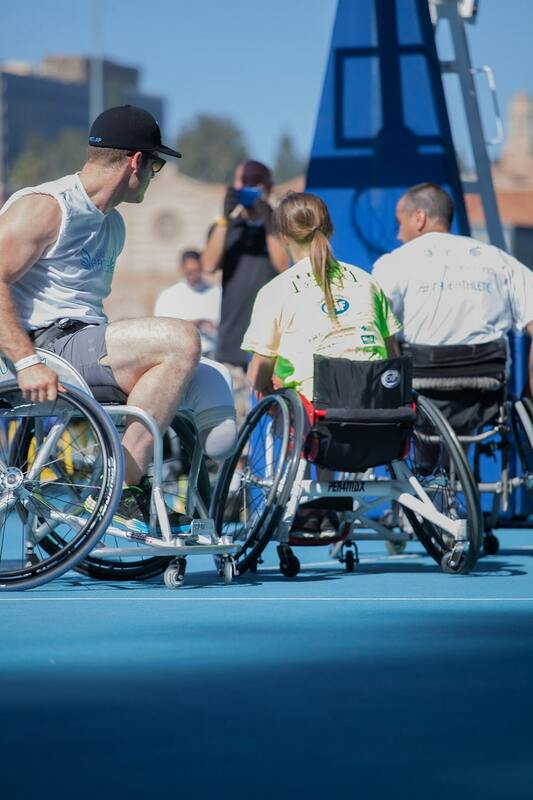 The Games are held at UCLA’s amazing facilities and include track and field, swimming, archery, wheelchair tennis doubles, and three-on-three wheelchair basketball. 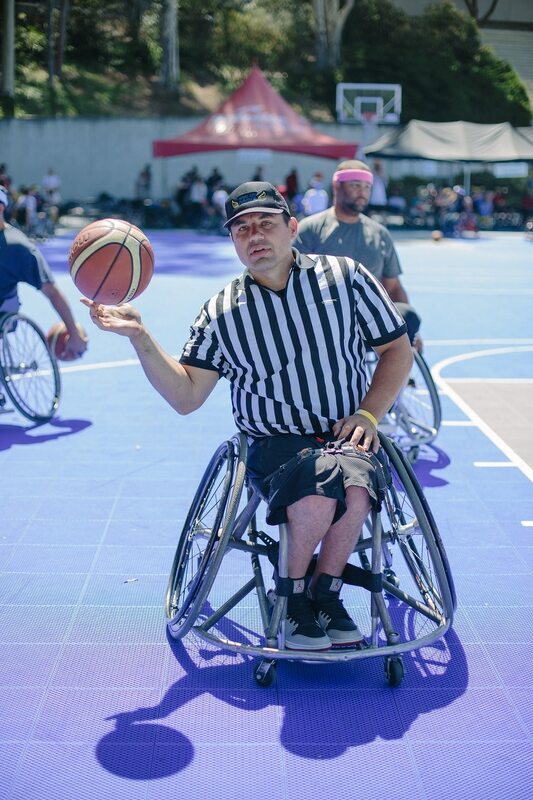 We also do a celebrity wheelchair basketball game where we get some Hollywood stars to play. Last year, Adam Sandler came out. This year, we have Rob Morrow from Northern Exposure, Kenny Johnson from S.W.A.T., and a few Disney kids. Other stars that will be at the Games include my wife, Bahar Soomekh, who’s an Academy Award winner, Trooper Johnson, a National Wheelchair Basketball Association Hall of Famer, some NFL guys, and a Harlem Globetrotter. 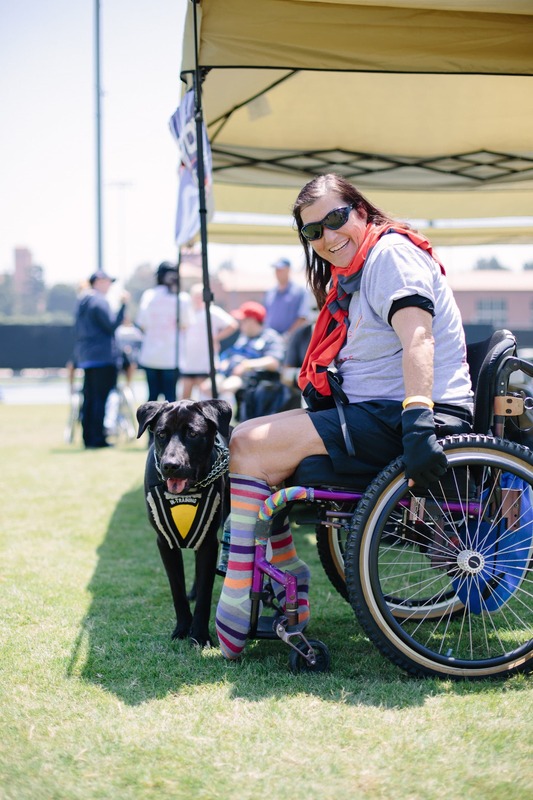 This is one of the things we can do in L.A. — bring the star power and make adaptive sports cool, because it is cool! In addition to the sports and celebrity wheelchair basketball game, we have a number of activities for the whole family! Thursday night (6:30-9:00 p.m.), there is a cocktail hour opening party in Westwood at Rocco’s. Friday afternoon (1-2:00 p.m.), we are holding an Opening Ceremony and Parade of Athletes. Friday night (5:00-7:30 p.m.) is the Great Games Cookout on the track at UCLA. Saturday and Sunday (9:00 a.m.-4:00 p.m.), we are building a Sports Experience and Fun Zone for all guests to try adaptive sports like wheelchair basketball. Saturday and Sunday on our main stage, we will have fitness classes and live entertainment. Sunday morning (7:00-9:00 a.m.) is our Fun Run & Roll hosted by our Youth Council! Angelcitygames.org is our event portal. Athletes and spectators can register there, and those interested in volunteering can find more details. We just extended the registration deadline through midnight on Sunday, June 18 — so sign-up now! We have hundreds of volunteer shifts available over four days. We’re constantly posting on social media and have an email list that you can sign up for on either of our websites: angelcitygames.org or angelcitysports.org. Editor’s Note: Check out the full program and get your tickets at www.angelcitygames.org/Tickets-and-Registration.